Bug Off Pest Control Center wanted to take some time to help Santa this year. 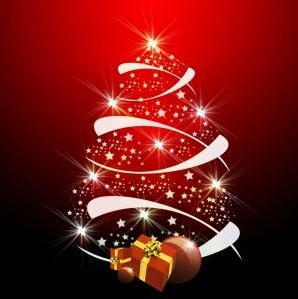 Many of us have no idea what to get our loved ones and friends. If you have a PMP on your list this Holiday or want a little something for your own bug killing needs, we may have the perfect gift! We are pest control operators! We kill the pests that pester our clients. We rid them of mice, bats, raccoons, spiders, ants, bedbugs and more! As the weather begins to cool, these critters look for shelter bringing with them disease and destruction. When colder weather arrives we, as pest control operators, need to put on another hat, home weatherization expert! We know where they enter and how they do it. Why not prepare homes to be more defensive. Your clients don’t need voles or mice chewing away at their wiring, or mice running across their counters. We can help protect their families before the invasion. 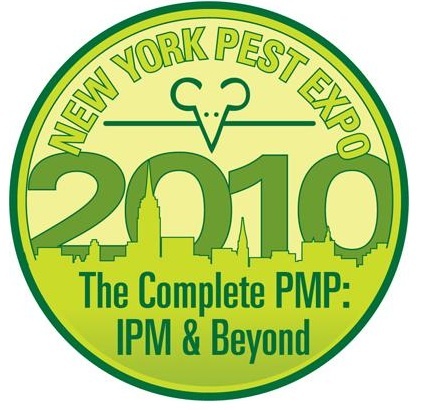 Another amazing presenter at the New York Pest Expo 2010 was Dr. Jim Ballard. Dr. Ballard holds a PhD in Entomology and is the Director of Ballard Pest Management Consulting, a firm that provides product development and pest management solutions to manufacturers, distributors, inventors, pest management firms and other related entities. He has been a Senior Development Biologist for Dow Chemicals and Product Development Manager and Senior Urban Entomologist for FMC Corporation. Dr. Ballard’s presentation was titled Advances in Bed Bug Control Protocols: Advances in insecticides, thermal techniques, site preparation and detection tools. We all know how important this presentation was based on all the bed bug reports recently. Pete Grasso, Technical Editor, PMP Magazine was kind enough to share with the attendees of the New York Pest Expo 2010 his blogging knowledge. Pete was a natural choice for this presentation. He has been writing a great industry blog, Keeping It Simple, for quite a while now. Dr. Bobby Corrigan joined us this year at the New York Pest Expo 2010. He discussed Rodent Control in 2010. For those of you who aren’t familiar with Bobby’s background, he is the Director of RMC Pest Management Consulting, Richmond, IN. He has published over 150 technical publications in pest control and is a regular contributor and columnist for Pest Control Technology and Pest Management Professional. Dr. Corrigan is the author of Rodent Pest Management: A Practical Guide for Pest Management Professionals; the Mallis Handbook of Pest Control on rodents; and co-author of The Scientific Guide to Pest Control Operations. In 2008, Bobby was inducted into the Pest Management Hall of Fame.